Mars is located in southern Butler County, about halfway between the cities of Pittsburgh and Butler. The community is nestled in a small valley along Breakneck Creek. Pennsylvania Route 228 bypasses the borough to the south, leading east to Pennsylvania Route 8 and west to Interstates 79 and 76 in Cranberry Township. The Mars-Evans City Road leads out of town to the north. Mars is home to the popular roadside attraction the Mars "Spaceship" or "Flying Saucer". It is also home to the Mars Station, one of the last railroad depots still standing from the now defunct Pittsburgh and Western Railroad. The Mars Area School District serves the boroughs of Mars and Valencia, as well as Adams Township and Middlesex Township in Butler County. The Mars Fightin' Planets are one of the many teams located in the north Pittsburgh area. Because of its unique name, and proximity to Pittsburgh, Mars has on occasion received national media attention. In 2011, a representative from The Walt Disney Company invited students from Mars Elementary School to attend the Pittsburgh premiere of Mars Needs Moms, after reading a featured article on the town by msnbc.com. Mars was the only school nationwide invited to the film's premiere. The borough has also been a location for films and television commercials. The 1988 comedy-drama film The Prince of Pennsylvania and the 1996 comedy film Kingpin were filmed throughout the borough. Mars was the inspiration for the fictional town of Athena, Pennsylvania, the setting for the 2015 fictional trilogy, Benjamin's Field, by local author J. J. Knights. Residents of Mars are often called "Martians", or "Planets" because of the high school team name. The borough also holds a Fourth of July parade during the holiday, as well as Apple Fest, which is held on the first Saturday of October. Lakehill Airport is a small airport located about a mile and a half northwest of Mars. It is used for light, private aircraft. The next closest airports are the Butler County Airport and the Zelienople Municipal Airport. The largest and busiest road in Mars is Pennsylvania Route 228. It is an important link for commuters because it connects with Pennsylvania Route 8 and Pennsylvania Route 356 to the east, and with Interstate 79 and US Route 19 to the west. Commuters on PA 228 can easily get on to Interstate 76 (Pennsylvania Turnpike) via I-79 or US 19 in Cranberry Township. The second busiest road in Mars is the Mars-Evans City Road which was originally Pennsylvania Route 855. It is an important connecting road for Mars and the borough of Evans City. The Red Belt of the Allegheny County Belt System is located just three miles south of Mars. 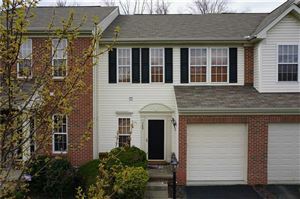 West Penn Multi-List listings last updated Apr 21, 2019 5:42:am.